Office hours also vary by appointment. To set up an appointment, please call our office at (817) 731-2661. We ask that you please fill out all our Forms before coming to your appointment to save time. 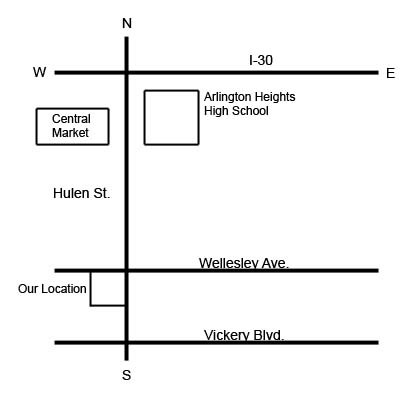 3600 Hulen is 5 block south of I-30, on the corner of Hulen & Wellesley.